The ‘Country Fair’; quintessentially an English affair but with our less than favourable weather, the idyllic amble across a field that smells of freshly cut pasture grass, as you browse amongst the stalls of homemade jams and chutneys and try your hand at ‘splat the rat’ or some other pleasant pastime, has a completely different appeal when there is a north wind blowing across a dull ashen sky and the stall holders are huddled together with blankets to keep them warm. But in the traditional British style and to show our support for the stoic village folk who stand valiantly in the face of adversity, we brave the elements, pull on our winter woollies and having parked in the makeshift car park that by the time we get there is knee deep in churned mud, we trudge towards the gate avoiding stepping in day old cow pats that have retained their freshness in the refrigerated temperatures. The Fair opens with a brightly coloured Maypole Dance in a concerted effort to persuade the summer warmth to make an appearance and the girls and boys manage to intertwine without too much confusion, to create a multi coloured plait at the top of the pole. Then we have the traditional Puppet Show that is always welcome and leads to at least one child being taken away with psychological damage as a result of seeing a baby being eaten by a crocodile! 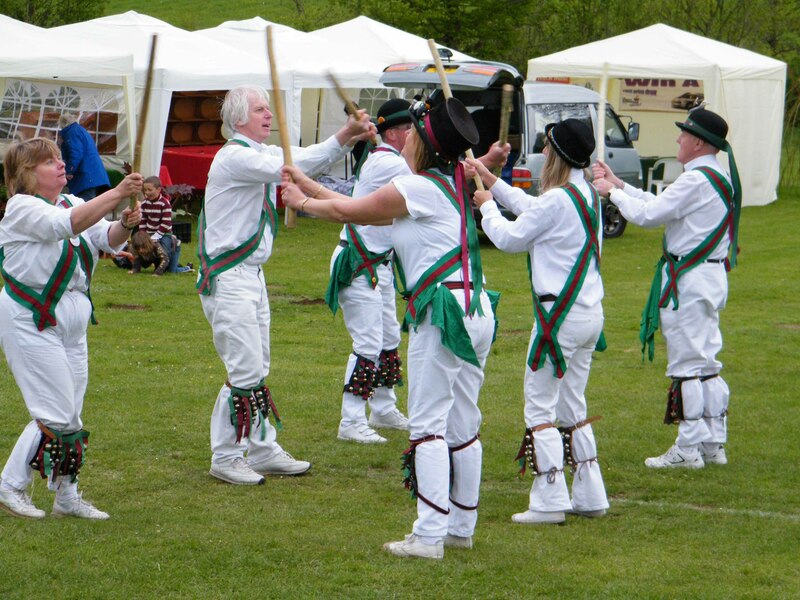 My favourite has to be the ‘Dr Turberville Morris Dancers’ whose activities have always been a bit of a mystery to me. There has to be something a little dubious about a bunch of people who shake sticks at each other and wear copious quantities of bells around their legs that they shake loudly. But even with this unusual behaviour, there is something grandly eccentric in a very English sort of way and their brief performance is appreciated as the gathered audience applaud the closing sequence of handkerchief shaking and stick tapping merriment! There were some less than typical country fair stalls, including exotic Far Eastern style jewellery and a large selection of carved wooden wind chimes, oddities and sculptures. There was the ubiquitous Phoenix Card stall and the chance to Win a Mini. Alongside these stalls were the local ladies’ knitted creations and some local delicacies in the form of Somerset Apple Pickle with an assortment of added flavours and other locally sourced ingredients that went into the boiling pot of the homemade jam and preserve making brigade. There was also plenty of entertainment for the children with a bouncy castle, sweet and candy stall and a 50 pence-a-go lucky dip stall. As we leave this pocket of traditional English country pursuits, I cannot help but feel there is something very special and unique in our quest for strengthening the community spirit and even though my fingers are numb and my face chapped with cold, as I struggled up the slippery slope back to my car, I had a very warm feeling inside. 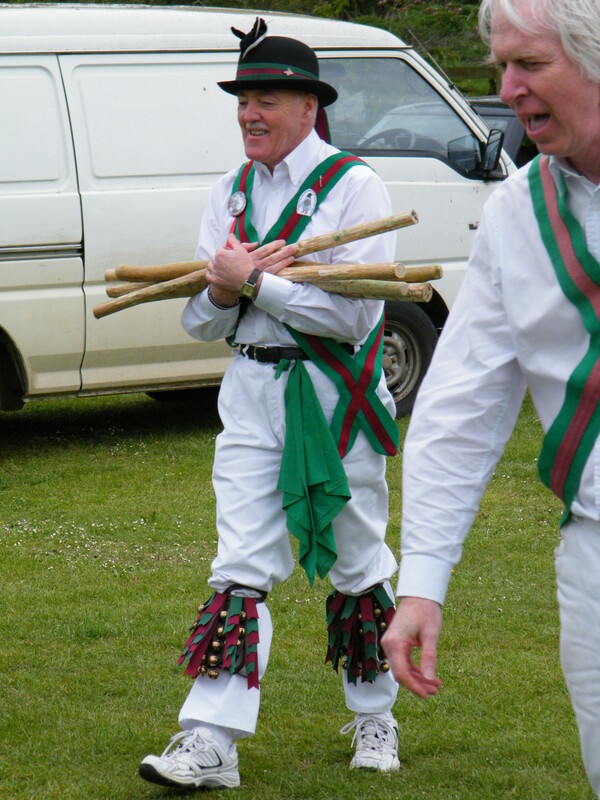 This entry was posted in Festivals & Fairs and tagged Country Fair, country Stalls, Morris Dancing, Somerset village. Bookmark the permalink. Good article, I think that it pretty much sums up English community traditions.